A special thank you to Tim Tucker, co-owner of Express Employment Professionals (www.expressbloomington.com) for the great following submission! For some time now, businesses have been gaining a bad reputation. Ideas like capitalism, profits, wealth, and entrepreneurship once inspired and garnered praise, but now they are increasingly being vilified. There are many reasons for this, some justified and some not, and the reality is that some blame lies on both sides of this argument. But, as business owners, it is within your power to help change this image and show that at least your business has a conscience. In the recently released book “Conscious Capitalism,” authors John Mackey of Whole Foods Market and professor Raj Sisodia “argue for the inherent good of both business and capitalism.” They propose that “entrepreneurs are the true heroes in a free-enterprise economy, driving progress in companies, society and the world.” To support this, they present four specific principles that companies should follow to not only communicate this reality to the world, but also grow their organization. The first principle to consider is to find your higher purpose. Forbes defined the process of finding your company’s higher purpose as uncovering the difference it is trying to make in the world. This is something the most profitable and highest esteemed companies have in common – they all know their purpose. Disney exists to use our imaginations to bring happiness to millions. 3M is in the business of improving every company, every home, every life. The American Red Cross is daily enabling Americans to perform extraordinary acts in the face of emergencies. Do you know what your business purpose is? As you uncover your business’ purpose, it’s important that you don’t negate growing your company or being profitable. Mackey and Sisodia believe that profitability is best achieved by not making it the primary goal of the business. After all, you can’t fulfill your higher purpose of fueling growth and progress within your community if you don’t generate profits. As a business owner, you have the unique opportunity to run an organization that serves a higher purpose and to change peoples’ lives for the better, which will ultimately prove that businesses have a conscience, too. This entry was posted in General, Healthy Business, Management, Marketing, Tips & Tricks and tagged Advertising, change, communication, Healthy Business Bloomington, mission, purpose, small business, social media, Tim Tucker, worksite wellness on February 6, 2014 by Tim Tucker. You find out that a video has been uploaded to YouTube that refutes your product. What do you do next? Where do you start? No matter how much effort you put into increasing your brand perception, incidents may occur that challenge your business’s product or service. An example of such a media crisis occurred in 2004, when a BIC Pen brought the company, Kryptonite Locks, to its knees. A video of a BIC Pen breaking a Kryptonite lock went viral after its update to the site YouTube. Kryptonite Locks didn’t respond publicly on social media networks until a week after the original YouTube post was published. A week equals eternity on social media. Thus, it isn’t surprising that critcis bombarded the company. Kryptonite Locks could’ve lessened the blow of the incident if it had a social media disaster plan in place, and acknowledged the situation sooner. Nowadays, social media allows issues to become viral. So why wait until after a crisis occurs to take action? Think proactively and plan for a crisis before the incident occurs. The first step of instituting a disaster plan is ongoing monitoring and tracking of the sentiments of customers and stakeholders. Listening long before a situation escalates may help avert the crisis from even staring or spiraling out of control. If Kryptonite Locks monitored its social media network, the company could’ve acknowledged the negative sentiment and decreased the media attention. Additionally, institute strategies for different channels that may cause the crisis. Anticipate situations that may occur, and know where the occurrence is covered in the company policy. Actions cause reactions, which in turn cause another action. Therefore, you must have a system in place to keep actions and reactions positive and moving toward a resolution. Although planning for all possibilities may be taxing, it will prove worthwhile in the end. This entry was posted in General, Management, Tips & Tricks, Uncategorized and tagged communication, Crisis managment, disaster plan, social media on March 17, 2013 by Bloomington Chamber Staff. Have you ever calculated how much money is being wasted by the dozenth pointless meeting this month? Or do you get the impression that the moment you turn on the projector the entire room tunes out? Meetings dominate the business life in America today. 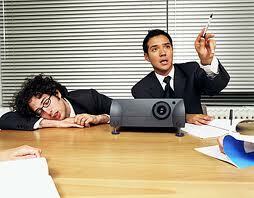 The National Statistic Council states that 37 percent of employee time is spent in meetings. According to other data there are 11 million business meetings every day. Bad meetings are not just dreadful, but a waste of valuable time. Making meetings better is not just solved by ordering lunch and coffee. Productive meetings require a plan of action, employee engagement, and on target communication. First off, if the transfer of info is one way then don’t meet. Status reports and business updates can be sent over email easier than setting up a meeting for the entire staff. Before the meeting, send an email out with details of the meeting’s objectives and the agenda. Additionally, paste the agenda on the email otherwise no one will open the attachment and they’ll all come unprepared. Sending out an email beforehand also allows the naysayers to make objectives in advance, so the meeting will take less time. Distribute the agenda at the meeting, as well as email, so everyone can keep on target. 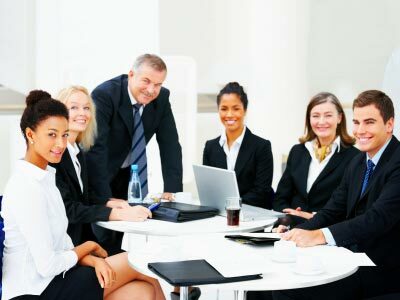 Increase the involvement of the meeting by assigning everyone a role or assignment. Roles such as timekeeper, note taker, and whiteboard handler will help engage coworkers that might otherwise be daydreaming or surfing the Internet. Also, assigning roles can take some pressure off of you and allow the meeting to run smoother. Another method to involve coworkers is to assign groups to explore an issue in their area and prepare ideas and solutions for discussion. This will allow the group to engage by solving problems together. Show your colleagues that you respect their time by always starting and ending on time. The agenda can assist with ending on time by keeping you on track. In addition, make all members of the meeting feel heard. This can be accomplished by making eye contact with everyone and keeping track of every idea. Finally, end with a plan. Everyone should know what is expected of them and when. End the meeting by receiving input and asking members if they thought the meeting was beneficial, and what can be done better next time. This entry was posted in Management, Tips & Tricks, Uncategorized and tagged communication, effective meetings, engagement on September 10, 2012 by Bloomington Chamber Staff. I begin my third year at Indiana University, I’ve become accustomed to my professors stating guidelines for ethical conduct in the syllabi they issue the first class. Such guidelines include class conduct, professionalism, and forms of plagiarism. Although most students already have some awareness of what common class conduct entails and to avoid all forms of plagiarism infraction, I for one welcome the refresher. This refresher on ethical conduct led me to question how ethical conduct is established in the workplace. The Merriam-Webster dictionary defines ethics as: a set of moral principles: a theory or system of moral values. I highly doubt, every few months, a firm issues its staff a guideline pertaining to business ethics. So how does a business institute ethical conduct and continue to maintain and build from the guidelines? To figure out how to enact ethical practices in a business, I looked over a presentation Kirk O. Hanson, executive director of the Markkula Center for Applied Ethics, recently gave. Hanson built his ethical business presentation on a model he devised in 1984 and has continually revised this model over the years. Although there are many elements to this model I’ve picked out a few key practices which I believe best address the important dimensions of managing ethics. Code of Conduct- An ideal code of conduct applies to all employees and doesn’t capture last year’s incidents Hanson detailed. All employees should be able to interpret the code and explicate any questions regarding certain elements. A code of conduct may go wrong if it details specific incidents which the business didn’t have authorization to handle, such as dealing with specific reimbursements and use of computers. Training and Communication- Best ethical practice are continually reinforced not only to new hires, but also on a regular basis to all employees. Trainers and executives must not just lip service the values or training may come up short. Constant communication of values is a fragment of good ethical practices. Renewal Process- Top companies such as Johnson & Johnson continually re-evaluate their value statements and codes of conduct on a regular basis. Revising values and conducts periodically maintains freshness of the message and employees engaged in the new message. Hansen explained every three years evaluating and producing new conducts and standards is ideal for a company. This renewal step is a basic component for the model because it allows a company to re-educate its employees consistently on guidelines and build upon their past practices. This entry was posted in General, Management, Uncategorized and tagged Code of conduct, communication, ethics, Value statement on August 31, 2012 by Bloomington Chamber Staff. The work environment is quickly changing, driven by new technology and the need for constant communication and accessibility. As technology advances makes it simpler to check your email and talk to clients while out of the office, many people have found that a normal 9-5 workday no longer exists for them. Also, with the convenience of technology advances, employers now have increased expectations of their employees’ availability. So my question is when do you know to turn off? Is it acceptable to check your email and voicemails right when you roll out of bed or should you wait till you get to work to start your workday? Many arguments concerning the benefits and costs have been presented on this idea. I believe there are both pros and cons to this idea of being perpetually tethered to the office. So to answer my question, I believe you must know when to turn off and to metaphorically ‘leave the office’ by looking at a 24 hour workday with an economic view. When I say economic view, I mean by analyzing the marginal benefits and costs of checking your email one more time, taking a work call, or working on a project for another hour. In economics, marginal benefits and costs are taken in to context with how many units a firm should buy of a product by the benefit or cost of adding another unit. However, I am using marginal benefits and costs in context of how much benefit you’ll receive from a never ending workday. If working on a project another hour will benefit you more by having more time to work on other projects tomorrow than watching an episode of Lost then an extra hour will benefit you. However, is the benefit of spending time dealing with a client for another hour at night more than the cost of losing time with your family? When deciding if working a bit longer or if checking your email at dinner is beneficial consider the costs you will face as well. 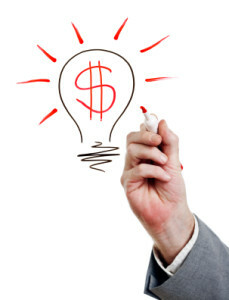 If those costs outweigh the benefits then that work project will still be on your desk tomorrow and vice versa. If the benefit of dealing with a client is greater than the cost of missing one dinner with your family than the longer hours that day are worth it. Business related matters shouldn’t overshadow more important personal ones. But, allowing yourself to be more accessible and flexible concerning working out of the office may just save you an important client and gain you more time on the weekend. By viewing a 24 hour workday by the marginal benefits and costs, you’ll be able to analyze whether each work responsibility is necessary to finish that day which can provide you more personal time as well as great work results. This entry was posted in Tips & Tricks, Uncategorized and tagged communication, Time Managment on July 23, 2012 by Bloomington Chamber Staff. First impressions are everything. What are first impressions based on? Communication. When applying for a job, the first step is to communicate your strengths—send a cover letter and résumé. Excellent communication skills assert intelligence and portray a positive image, right from the start. Letters with grammatical errors and lack of purpose are immediately tossed aside, while those that demonstrate superior knowledge and confidence are called in for interviews, which take communication to the next level. Interviewees must then convey an air of professionalism and preparedness through not only their verbal communication skills, but also their body language as well. Essentially, communication is the basis for everything we do. We are communicating every second of every day, whether we realize it or not. A friend of mine, who is one of the most brilliant people I’ve ever met, unfortunately has very poor communication skills. Even as an honors student, the one subject in school that she never quite seemed to grasp was English. Her intelligence has gotten her far, but she is slowly realizing that she really must sharpen her grammar knowledge in order to be taken seriously. Grammar is the foundation for communication, but another skill that must be mastered is presentation. Even proficiency in written communication is not enough to compete with the best these days. In order to stand out in a sea of cookie-cutter professionals, one must convey these skills through writing, express them verbally, and finally put them into action. The difficult part here is the verbal presentation. Even the most skilled individuals can appear to be unintelligent through the use of ineffective communication styles. The trick is to convince those around you of your knowledgeability. How did people react when I spoke? The effectiveness of communication can be easily determined from initial reactions. If colleagues respond negatively or meet your contributions with criticism, your delivery could probably use some work. Positive reactions signal effective portrayal. Did I make my point? If you are successful in your communications, co-workers will listen carefully and they will take your views into consideration. If you leave meetings feeling as if your point was not accurately conveyed or as if you could have said more to express your thoughts, the chances that others fully grasped your initiative are slim to none. Did people respect my opinions? Co-workers won’t waste any time on ineffective arguments. Superior ideas will immediately be presented and meetings will move forward quickly from points they perceive to be invalid. If your ideas are generally held in high esteem, others will ask for your thoughts. If you feel as if your methods of communication don’t quite measure up to those around you, it’s definitely worth the time and effort to reevaluate your techniques. Your peers and your career will surely realize the benefits. This entry was posted in Tips & Tricks and tagged communication, communication skills on February 17, 2012 by Bloomington Chamber Staff.